In December 2017 the 9th UK-China Economic and Financial Dialogue involved talks between the Chancellor, Philip Hammond and Chinese Vice Premier Ma Kai to discuss both countries commitment to developing a global partnership, establishing the next steps for a deeper trade and investment relationship. Following on from this, the IPA recently welcomed a delegation, led by a Director General Yang Jie, from the People’s Republic of China’s National Development and Reform Commission (NDRC) for four days of training and policy dialogue. The IPA has been working with the NDRC for several years providing strategic advice and support on infrastructure from a public sector perspective. Over several days IPA officials presented on topics including, project procurement and promotion, project preparation and approval, value for money, infrastructure investment, project finance, economic regulation, contract management and the project delivery profession. As part of their training, the delegation visited St. Bartholomew’s Hospital and Royal London Hospital to discuss the challenges of upgrading two historic hospitals in the centre of London as well as the current operation, maintenance and service provision arrangements. The delegation also met with officials from the Department for International Trade and the Department for Business, Energy & Industrial Strategy to discuss the business environment of UK and how government facilitates and regulates foreign investment. After a busy week in the capital, the NDRC delegation travelled to Manchester to learn about the Northern Powerhouse project and investment opportunities in the region. 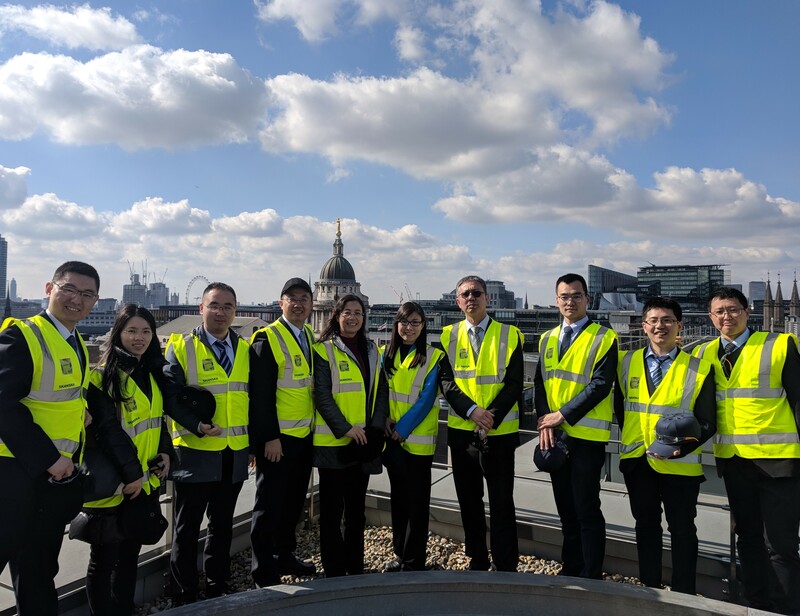 They had an opportunity to experience the same presentations that Chinese business executives and government officials are shown as part of the UK-China Infrastructure Academy. The visit has strengthened IPA’s relationship with the NDRC and both parties are looking forward to working together in the future. For more information on the IPA’s international work can be found on the IPA website. The visit was facilitated by British Embassy Beijing.